Pigs are fatty animals, and one would presume their protective (and delicious) layer of fat helps protect them from the elements. Truth is, pigs have a hard time regulating their body temperature—it’s why many don’t survive cold weather, as well as the reason they enjoy rolling in mud (as a way to cool off). 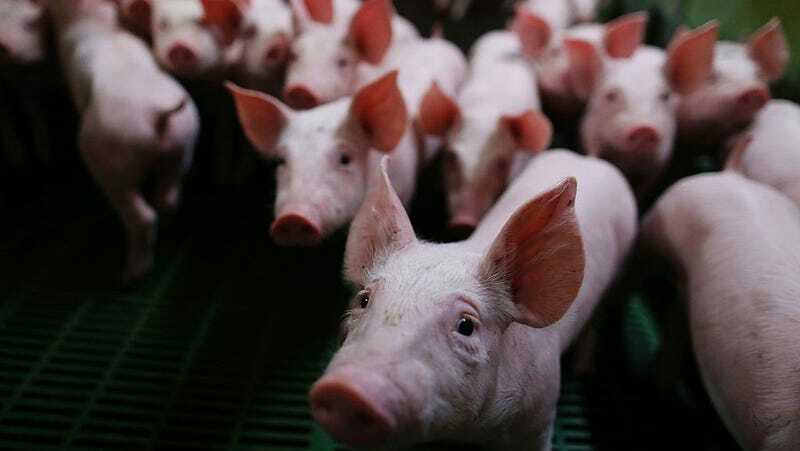 The high cost of heating is one of the reasons Chinese scientists have discovered a way to create pigs with less fat. In a paper released this week from the National Academy of Science (via NPR), a group of zoologists from the Chinese Academy of Sciences in Beijing discuss a method in which they’ve genetically mutated pigs to burn more fat, and thus, regulate their body temperature more efficiently. Whether Americans will get to even taste the GMO pigs is another question, and chances are, it’s not happening in the near future. NPR notes that not only will food-safety advocacy groups likely mount an intense pushback, but there’s currently no widespread cultural acceptance of consuming genetically modified meats. Why don’t we drink pig’s milk? How are pork rinds made?